Beverly Hills facial plastic surgeon, Dr. Babak Azizzadeh, recently purchased the CoolSculpting device and is now offering non-invasive body contouring. Facial plastic surgeon, Babak Azizzadeh, MD FACS, recently debuted CoolSculpting at his Beverly Hills practice, the CENTER For Advanced Facial Plastic Surgery. CoolSculpting is a new non-invasive FDA-cleared device that removes fat without surgery. This treatment effectively eliminates stubborn fat on your muffin top and love handles. The best candidates for CoolSculpting are those who are in relatively good shape, but have modest areas of fat bulges they would like to remove. To remove stubborn fat, the CoolSculpting device will be placed on the area of your body you want treated. The device will then draw your fat in between the cooling panels and freeze your tissue, only targeting your fat cells, while leaving the surrounding skin cells healthy and unaffected. This cooling technology kills your fat cells, which are then naturally eliminated by your body. Since CoolSculpting is a non-invasive treatment, there is little to no downtime after the procedure. The results of the CoolSculpting treatment are gradual; it can take 3-4 months for your body to completely eliminate the frozen fat cells and for you to see the final results of the treatment. Most patients only need one CoolSculpting treatment for a noticeable reduction in fat. This non-surgical approach is best for patients who only need minimal fat reduction, and is a great alternative to liposuction. For more information about Los Angeles CoolSculpting treatments visit Dr. Azizzadeh’s website: http://www.facialplastics.info/coolsculpting.html. If you decide CoolSculpting is the treatment for you, call our office and schedule an appointment - 310.657.2203. As an introductory special, mention this press release to receive 10% off your Beverly Hills CoolSculpting treatment paid in May 2012. He has written 5 medical textbooks, lectured around the world and been featured in national media outlets including The Oprah Winfrey Show, The Doctors, The New York Times and Discovery Health for his extensive knowledge in facial plastic surgery. Located in the heart of Beverly Hills, the CENTER provides our patients with the most comfortable and technologically advanced facilities in the field of medicine. 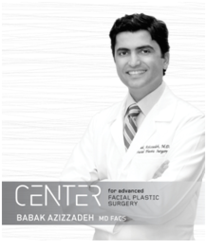 For more information about the CENTER for Advanced Facial Plastic Surgery visit http://www.facialplastics.info.